Liz Warner, Allison Wolfe, Kate Nash, Solvej Schou, Evelyn McDonnell and Mar Sellars at Turn It Up! mixer. Photo by Lucretia Tye Jasmine. What happens when 50 female-identified musicians, DJs, journalists, scholars, publicists, sound engineers, podcasters, etc., come together in a subterranean hotel bar on a rainy Superbowl Sunday? “I feel the earth move under my feet, I feel the sky come tumbling down.” On Sunday, February 3, Turn It Up!, a collective of women working in the music industry that has been meeting since December, had our coming-out party at the Hotel Figueroa. It was an invitation-only mixer — an initial step to broaden our base as we take aim at gender inequality in the music industry. The feeling in the room was electric, the ideas that came out of small brain-storming sessions were provocative. A change is gonna come. Turn It Up! evolved out of a special December issue of KPFK’s Feminist Magazine Radio show. 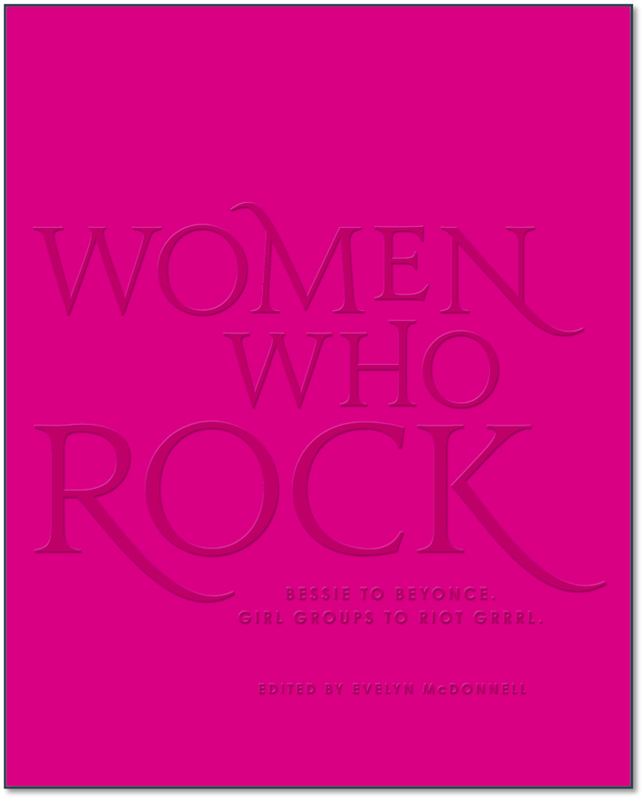 Valecia Phillips interviewed myself and six contributors to Women Who Rock: Bessie to Beyoncé. Girl Groups to Riot Grrrl. Inspired by each other’s stories about the musicians they profiled for the book, we decided we didn’t want this to be the, er, final chapter of our work together. As Alice Bag said Sunday, Women Who Rock is “the big, hard, pink seed” that must be planted and grow. The mixer was a tremendous first sprout. Opening up our “rolodexes,” our steering committee — Alice, Adele Bertei, Allison Wolfe, Lynnée Denise, Mukta Mohan, dIA hakinna, Shana L. Redmond, Solvej Schou, Valecia Phillips, Lucretia Tye Jasmine, and me — were able to draw a pretty impressive group of artists, scholars, writers, workers, engineers, publicists, and activists, including Phranc, Lysa Flores, Kate Nash, Anna Bulbrook, Carla Bozulich, Anna Joy Springer, Abby Travis, CJ Miller of Dimber, and Katie Gavin and Naomi McPherson of MUNA. There were representatives of other rad feminist warriors, including SoundGirls, 50/50 by 2020, the Kilroys, Girlschool, and Chicas Rockeras, as well as folks from KXLU, Fly PR, Girlie Action, etc. My favorite moment was when the hotel’s staff couldn’t figure out how to get the microphone working, so Kathleen Hanna got up and fiddled with the cables, and voila, sound. Turn it up! The Hotel Figueroa generously housed us and donated a fabulous spread including warm cookies. The building has a feminist history, having been built as a YWCA and served as the first place where women traveling alone could find lodging in downtown LA. Sunday we plotted the next steps for change, breaking up into small groups that brainstormed a number of ideas to put our mission into motion. Stay tuned for further developments.